Each year Catersource offers a plethora of educational content and new product launches for the over 5,400 people in attendance. The 2018 show in Las Vegas continued that tradition in spades—here is a look at some of the ideas and products that popped during those four short days in February 2018. A crowd awaits the opening of the tradeshow floor on Tuesday, February 20, 2018. Surprise & Delight. This phrase is showing up with greater frequency as event planners and caterers look for ever-changing and unique ways to genuinely enchant clients and their guests. 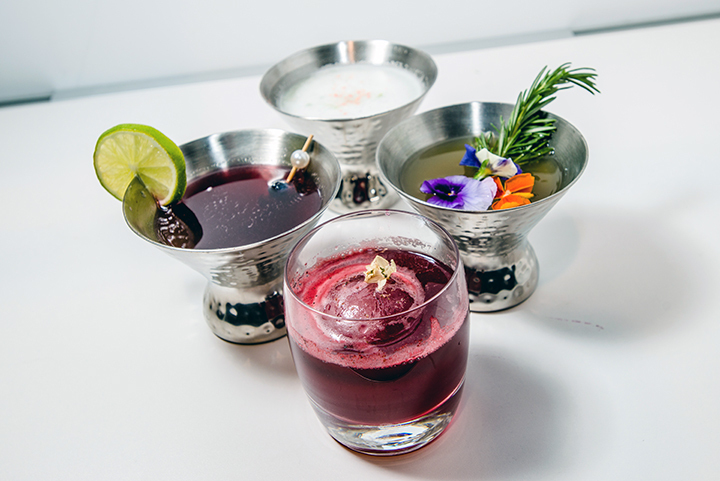 Be it sensory or interactive events, action stations, specialty cocktails, beautiful plating, or a bit of entertainment appearing as one heads around a corner, the trend toward honest surprise and delight is surging. “Surprise and delight is all about brand loyalty, customer engagement, vendor referrals, increasing your value, and especially, making for a memorable guest experience,” said Emily Sullivan, Emily Sullivan Events in her session, Surprise & Delight Catering. All of these ideas and more could be found in the classrooms and on the Catersource tradeshow floor. The word "cocktail" evokes a sense of luxury in a way that “drink” does not. At the Catersource Swizzle competition, four bartenders shook complex and intriguing cocktails, surprisingly flavorful and delightful to look at, served to a team of judges representing the spirits, events, and catering industries. Shown: the gin round of the competition. 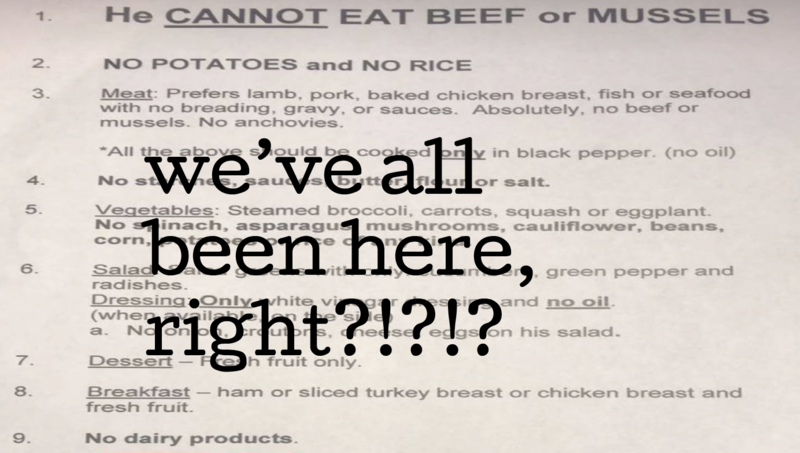 Check back on catersource.com later this year for a full recap of the competition + recipes. Curious about the 2017 competition? Click here for the full article. 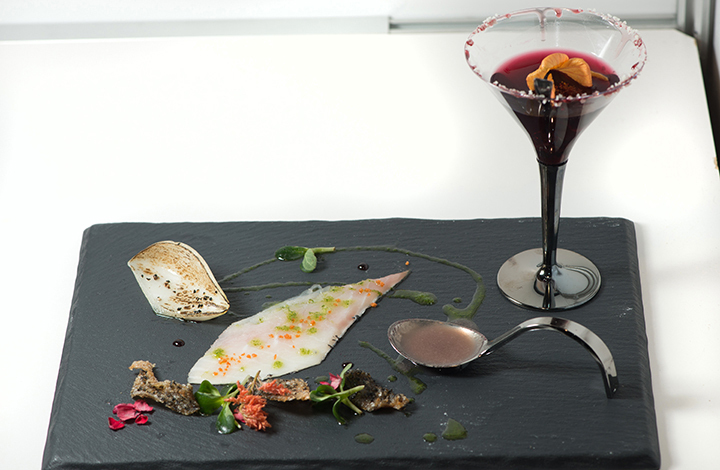 Microgreens and edible flowers, such as these offerings from Fresh Origins on a Beyond the Plate competition entry, elevate plates and beverages alike with color, texture, and flavor. Colorful characters popped up and then disappeared during the Speak Hard, Speak Easy After Party at Catersource 2018. Allergen-free. Some of the most attended sessions at Catersource circulated around allergy intolerances, special needs, and gluten-free diets. “By putting simple systems in place and educating one’s self, working with clients who have special needs becomes both easy and rewarding,” said Chef Keith Lord during the tag-team Making Intolerance Tolerable: Working with Food Allergies session with Chef John Mazzetti on the Catersource Food & Beverage stage. On the tradeshow floor, vendors embraced this trend enthusiastically. Foodservice Express, for example, hosted renowned vegan chef, Ron Pickarski, cooking and demonstrating his line of vegan plant-based protein mixes from ECO-Cuisine; Forno de Minas, recently expanded into the U.S. market, showcased Pão de Queijo, its authentic gluten-free Brazilian cheese rolls; and geefree foods introduced gluten-free appetizers and pastry products, including a line of mini tartlets to fill the gluten-free needs of the catering world. Nielsen-Massey launched no sugar added pure vanillas, certified to be GMO-free, gluten-free, allergen-free, and Kosher. A screen shot from the Keith Lord & John Mazetti session on intolerance. 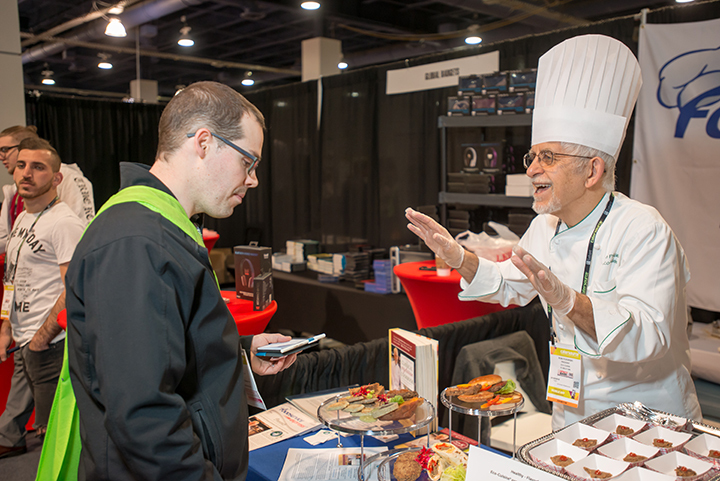 Chef John Pickarski talks to Bryan Gutridge, a Catersource speaker based in colleges and universities, on the Catersource tradeshow floor. Staffing Issues. Great menu, great location, eager clients, no staff. This old saw continues to be plucked in 2018. With unemployment rates the lowest they have been since December 2000, Catersource speakers engaged with attendees discussing how to hire the best person for the job, retain the staff they have, keep them loyal, and pay them equitably without impacting margins. As mentioned in the Catersource 2018 State of the Industry feature, staffing is the single largest expense and the biggest challenge. But challenges don’t just fall upon the shoulders of the staff; sometimes the challenge lies in the way they are managed. Said Anthony Lambatos in his Leading with Passion & Purpose session: “According to Gallup polls, a full 50% of employees who quit cite their manager as the reason.” Working through the various management styles, Lambatos made recommendations regarding personal leadership philosophies, the costs of bad leadership, top leadership competencies, and employee engagement drivers. Additionally, companies on the tradeshow floor, including AllSeated, Caterease, Nowsta, StaffMate Online, StaffSmart, Synergy International, Total Party Planner, and Ubeya (among others) displayed technologically-driven staffing solutions, sales dashboards, customer payment portals, and more, all aimed at making daily work progress with greater ease. 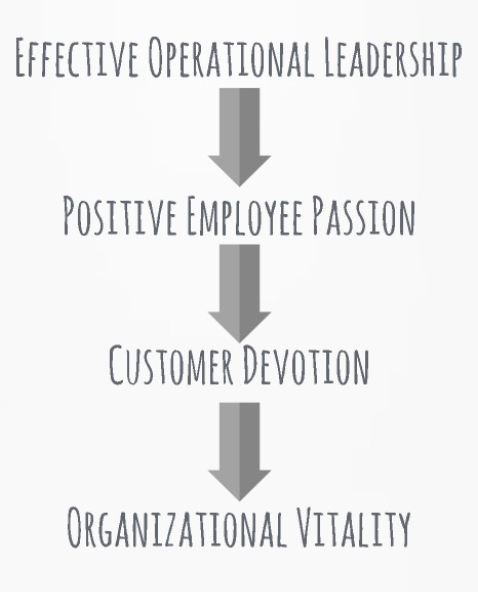 A screenshot from Anthony Lambatos’ session on Leadership. Flavor trends. Chef Gerry Ludwig of Gordon Foodservice presented to a packed room, Flavor Trends - Coast to Coast, outlining his street level research in three cities across the nation: New York, Chicago, and Los Angeles. Vetting and finalizing target restaurants in all three markets, Ludwig leads a yearly research tour (now 16 years in the making) of three cities in five days, covering first-to-market trends from newly opened restaurants. Among his findings for 2017 going into 2018: vegetable centric cuisine is entering year 4 of its meteoric rise, which includes protein adds; “too authentic” Indian cuisine is entering the mainstream via “mash up”; Okonomiyaki, a Japanese savory pancake which includes shredded cabbage, offers endless customizability and portability for catering and restaurants alike; ‘nudja—a spreadable and spicy sausage—adds sizzle and simplicity across the menu due to its ease of use; and caviar is popping up on menus across the US due to affordable elegance and the umami kick that diners are craving. Later in the week, Chef Chris Sayegh, The Herbal Chef, discussed and demonstrated cannabis infused fine dining, a growing trend as more US states approve the use of recreational marijuana. 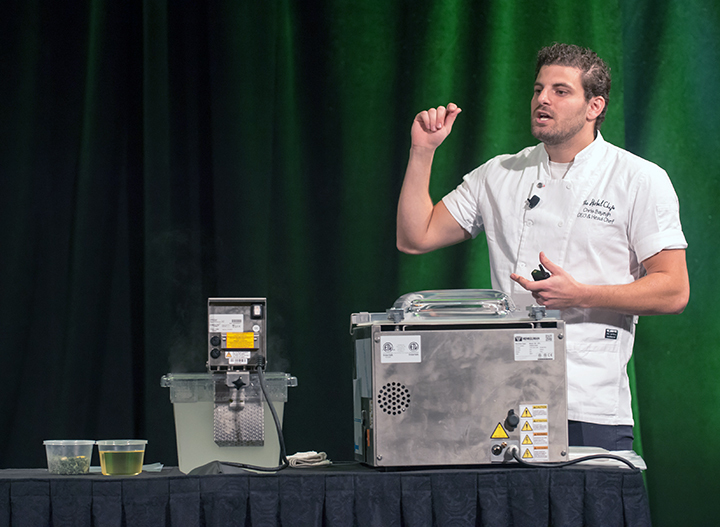 Starting with the traditional “pot brownie,” Sayegh moved quickly into how he has pioneered cannabis-infused fine dining in California, and also talked dosage and client experience before demonstrating his extraction techniques. 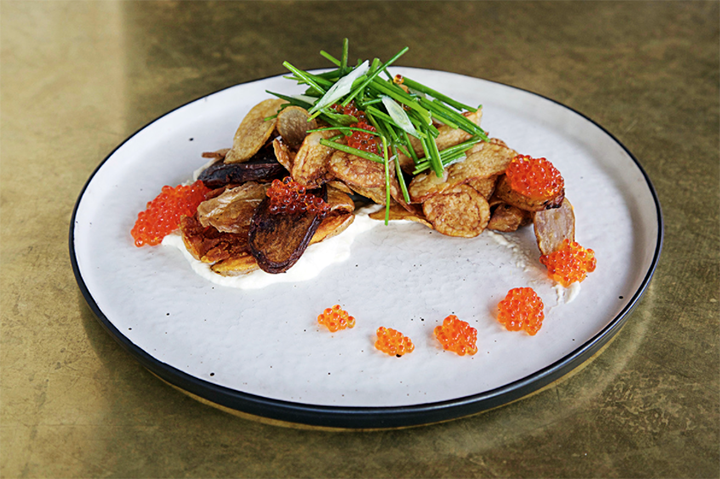 One of the caviar dishes Chef Gerry Ludwig showed was potatoes three ways from Beatnik, Chicago, lL with confit leek labneh, allium salad and smoked caviar. Sayegh talks dosing prior to starting his extraction demo. Millennials & their weddings. 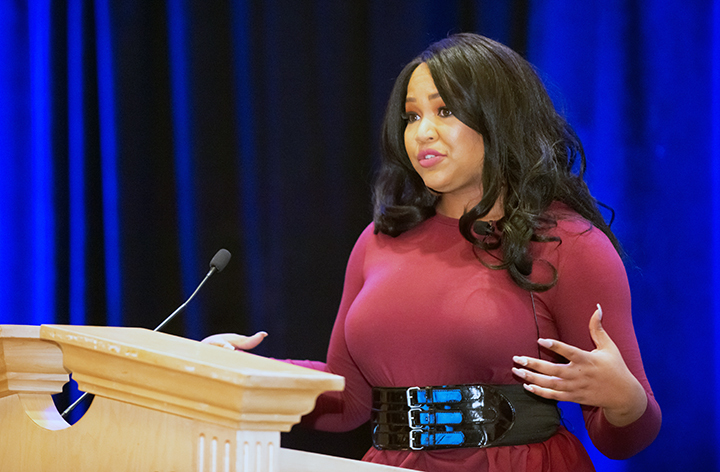 Given that most caterers and event planners will be selling weddings to millennials for the next 20 years, capturing the essence and needs of these influential buyers is imperative, and Catersource speakers stepped up to the mound to deliver their best pitches and insight. Millennial couples need expert guidance on how to make their weddings an experience, not just another party. “Despite the growing reliance on Pinterest, most couples lack the vision to be able to get from Pinterest to an amazing wedding day,” said wedding planner Terrica Skaggs in her Slaying Bridezilla: 6 Steps to Dealing with Difficult Clients and Turning Them into Fans. But, quoting Benjamin Franklin, “An ounce of prevention is worth a pound of cure,” Skaggs noted, offering proactive service ideas to the audience including communication, accountability, transparency, and boundaries. “92% of all weddings surround millennials, born between 1982 and 2004,” said Lauren Randolph of MyHotelWedding.com in her How to Increase Your Millennial Wedding Bookings session, “and they have $200 billion of direct purchasing power, coupled with %500 billion indirect spending.” The speediness of phone and email replies is imperative to booking their business, she noted. Terrica Skaggs of Cocktails & Details taught two sessions directed toward those who sell weddings. 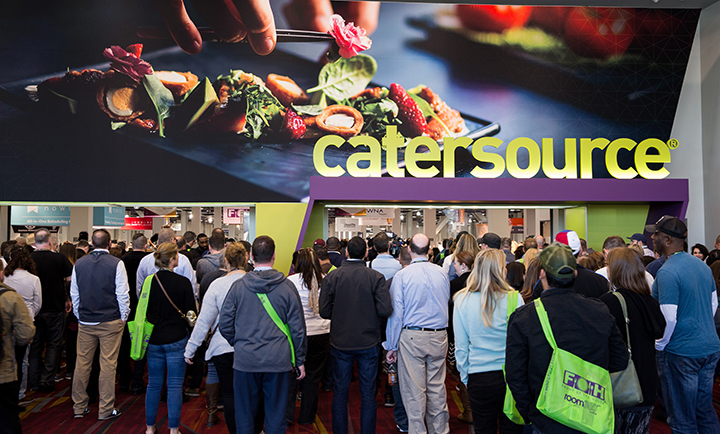 So many more ideas and trends were available at Catersource 2018. But—you’re in luck! Catersource 2019 will be held at the E. Morial Convention Center in New Orleans, LA February 24-27, 2019. Click on the logo below for the latest information, and come back often to catersource.com for additional trend releases.